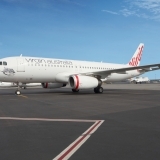 Virgin Australia will today launch its inaugural flight from Perth to Canberra as part of a new twice-weekly service connecting the two cities. VA590 is scheduled to depart Perth at 12:35pm today and land in Canberra at 6:25pm. The service will cater for an increased demand for travel to and from the nation’s capital for Parliamentary sitting weeks, whilst encouraging tourism in both cities. 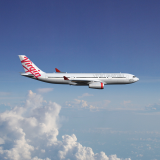 Virgin Australia General Manager Network Management Hope Antzoulatos said: “Virgin Australia is excited to expand our domestic network and increase our services in and out of Canberra and Perth. 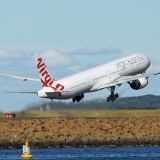 “This service will be particularly welcomed by West Australian parliamentarians and their staff who now have the opportunity to fly directly from Perth to Canberra during sitting weeks, as well as passengers wishing to travel between the two cities. The service will be operated by our advanced and modern fleet of Boeing 737 aircraft featuring 8 Business Class seats and a menu designed by resident chef Luke Mangan. “The introduction of this service is part of our commitment to bring greater competition to the industry and more choice to Australia travellers,” Ms Antzoulatos said. Canberra Airport Managing Director, Stephen Byron, said the new service would also be a boon for Canberra’s business people who are operating nationally and internationally. “Canberra is also attracting increasing numbers of inbound tourists. In the past year, 208,000 international visitors visited the capital and the wider region, and spent $452 million. “Perth is not only a key national destination, but a gateway to Africa and beyond, and we expect the new service to become highly attractive to our region’s population of around 1 million,” Mr Byron said. 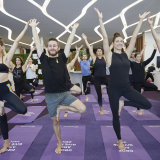 Velocity Gold and Platinum members as well as Virgin Australia Lounge members will have access to the airline’s state-of-the-art lounges in both Canberra and Perth. Virgin Australia was recently awarded Best Domestic Airline at the 2017 AFTA National Travel Industry Awards as well as Best Airline Australia/Pacific and Best Airline Staff Australia/Pacific at the 2017 Skytrax World Airline Awards. All flights in 2017 are now available for sale at www.virginaustralia.com. Flights in 2018 will be available for sale once the 2018 Parliamentary sitting calendar is released. Safety is Virgin Australia's number one priority. 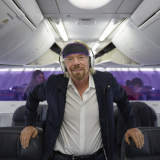 © Virgin Australia Airlines Pty Ltd.